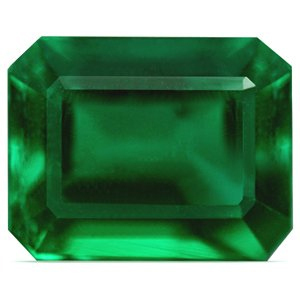 According to the modern chart of birthstones, Emerald is a birthstone gemstone for May. 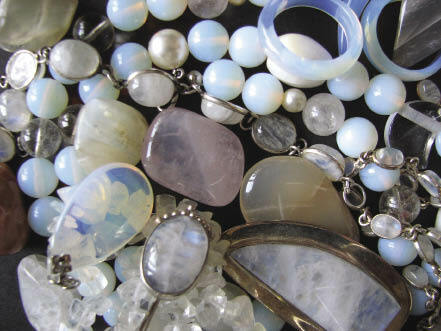 If we take a look at the traditional birth gems chart, the May birthstone would be Agate. On the other hand, the spiritual interpretation (Mystical Birthstones by Olga Rezo) associates Rose Quartz with the month of May. In the Ayurvedic system, Emerald is associated with planet Mercury. In the following we are going to consider the modern chart of gemstones, and talk about Emerald. If you like, you can explore the other gemstones associated with the month of May. For example, if you are a spiritually oriented person, you should consider using Rose Quartz along with Emerald. There are two Zodiac signs that are related to the month of May: Taurus, corresponding to people born from 1st to 21st of May, and Gemini, which corresponds to people born between 22rd to the end of May. Both Zodiac signs can use Emerald as their birthstone, even thought Emerald is better suited to the Taurus astrological sign. The green color emerald, belonging to the beryl family is the birthstone for May. The range of the green color varies according to the quality of the stone. Good quality emeralds are deep green in color along with bluish tinge while emeralds with a slighter quality are light green in color and have a yellowish tinge. The stone tends to lose its color if it is heated rather intensely. The word emerald is derived from Greek word ‘smarsgod’ and French word ‘esmeraude’ which means green. Emeralds along with Topaz are the only two birthstone found in the list of all the tables with the ancient birthstones listing. At present Colombia and Brazil are two top emeralds producing countries. The Colombian Emeralds are considered to be the best amongst the best. Some other countries, which also produce emeralds are Australia, India, Madagascar, Norway, Pakistan, Russia, South African, United States and Zambia. The process of oiling is applied to emeralds to hide its many cracks and fissures. Oiling means the emeralds are dipped into oil that allows for clearer look and also it helps in reducing the visibility of cracks. German chemists were the first to produce synthetic emeralds. 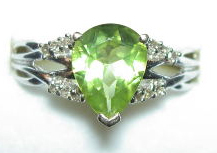 The trend of producing good quality synthetic emeralds however began in USA. 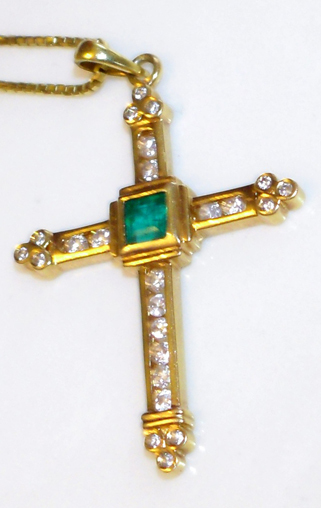 Imitation emeralds made up of cut glass too are very popular. Peaking a bit into history about the most important May birthstone gives us an idea that its origin dates back to almost 1300 BC. During the time of Rameses II tools were found in the emerald mines in Egypt. Cleopatra had her collection from the mines of the southern part of Egypt, closer to the Red Sea. It was considered to be Cleopatra’s favorite gem. Mining in Colombia dates back centuries ago. The Muzo mine in Colombia has been the site where mining operations have continued for a long time. In fact it has been continuing dating since 1537. This mine is one of the best emeralds producing mines. The Spanish when they invaded South America found the native people wearing these stones. Though they took away the stones from the people of Peru they were unable to locate its origin. They discovered site mining for emeralds, Chivor located in Colombia in the year 1537. Since we are talking of history of emeralds we find that there are many historical objects made of emeralds. The last Inca king of Peru, Atahualpa, wore one such well-known relic, the crown of Andes. This crown is believed to consist of 450 emeralds weighing about 10 ounces or 1523 carats. Myths associated with the uses of emeralds are found in plenty. One such use is about it being used to cure epilepsy. The other is about it being used to increase memory, to help in stopping bleeding, used to tend to eye diseases, and also as a cure to dysentery and fever. Associating the green emeralds to the Goddess Venus, the Romans thought it represented the generative quality of the nature. Thus it also came to be associated with boosting of love. There were also considered to hold the ability to predict the future. Some people consider Emerald a stone of Peace. It brings soft and delicate energies that can help you calm and balance your own energies. If you are born in the month of May, you can definitely add this wondrous stone to your gemstone collection and wear Emerald jewelry to improve your energy field and come closer to the harmony of the spirit.